Samsung Mobiles unveiled the Samsung Gear 2 and Samsung Gear 2 Neo Smartwatch just before the MWC 2014. Samsung takes notes with Galaxy Gear and improved the wearable and as a result Both devices offer a lightweight design with premium finishes. 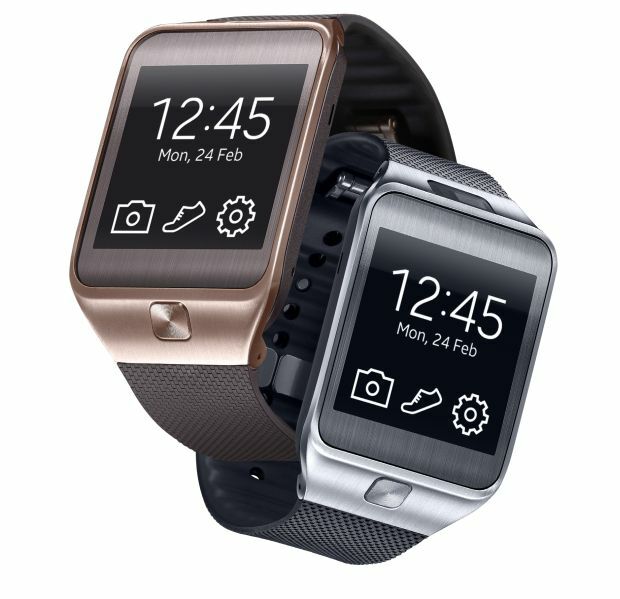 Samsung Gear 2 has 1.63-inch Super AMOLED with 320 x 320 resolution, 1 GHz Dual Core Processor, 2 MP Auto Focus camera and is powered by 300 mAh Battery which is good for 2-3 days. Gear 2 comes with 512 MB of RAM and 4GB of Internal Memory. Samsung Gear 2 fitness features Heart Rate sensor, Pedometer, Running, Walking, Cycling, Hiking modes and Sleep & Stress. The Gear comes with IP67 certified Dust and Water Resistant. This time Samsung drop Android, Gear 2 is powered by Tizen based wearable platform. Both devices will be able to control electronic products such as TV, set top box through WatchON Remote application with the help of embedded IrLED sensor. The Gear 2 and Gear 2 Neo are essential companion devices, allow users to accept or ignore incoming calls and messages, and providing instant notification options based on a user’s activity and habits. The only difference between Gear 2 and Gear 2 Neo is that later doesn’t come with the camera. 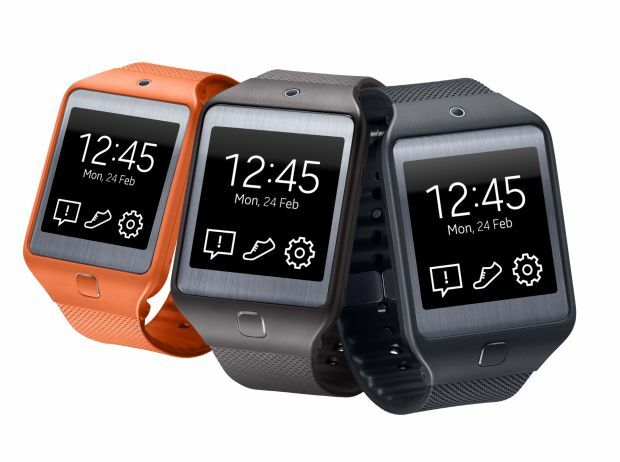 The Gear 2 will be available in Black, Brown and Orange color, Gear 2 Neo comes with color options: Black, Gray and Orange. Samsung Gear 2 and Gear 2 Neo will be available around the world starting from April.